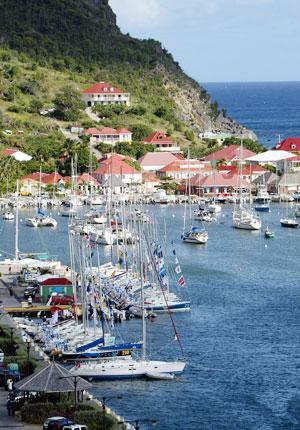 St Barts used to be governed as a Commune as part of Guadeloupe. However, in 2007, it voted to separate, and is now an overseas collectivity. The island itself is located just south of the island of Saint Martin in the Caribbean. The island itself was originally claimed by France in 1648. However, they handed it to Sweden in 1784 in return for trading rights in the Swedish city of Gothenburg. This means that the island of St Barts has the honour of being the only land in the Caribbean that was a Swedish colony. However, France bought the island back from Sweden in 1878. The people on the island where long impoverished. However, the island has seen its people see a massive improvement in their living standards, in part led by the development of a very successful tourism sector. The island also has plenty of natural beauty. This natural beauty has led to the island playing host to international photoshoots which allows the island to generate even more money! Such as Victoria's Secret holding regular photo sessions there. The island itself does not have its own flag, but does use its coat of arms as an unofficial flag on the island. 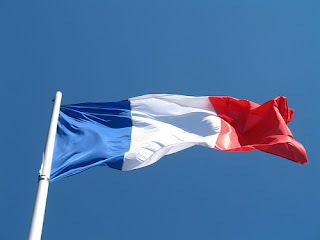 The official flag is the flag of France. 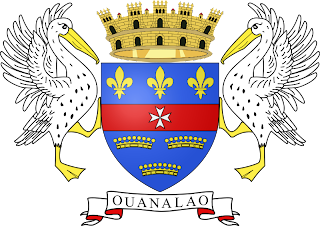 The coat of arms displays links with the islands history. it features a Maltese cross on a red band. Above the red band are three gold fleur di lis on blue representing France. Also, underneath, representing the islands time as Sweden's only colony in the Caribbean, it features the Tri Kronor. The three golden crowns of Sweden. The coat of arms features a crown made that represents the islands fortress, and is supported by two Pelicans.